[For ages 6-17] Bored? 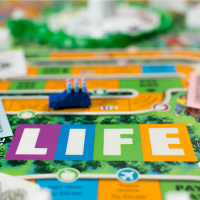 The library has a great stash of board games, as well as fan favorites, for you to play! Game titles include: The Game of Life, Connect Four, Operation, Sorry! and Trouble. Bring a friend or make a new one!